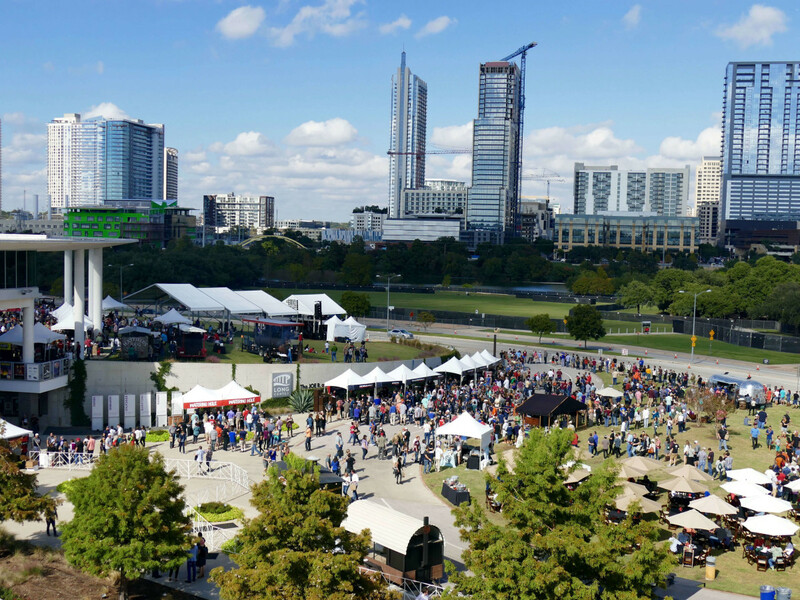 The Texas Monthly BBQ Festival is the rare food event that's too much of a good thing. This concept may seem ridiculous to a barbecue fan that has never attended. With nearly half of the revered TM Top 50 barbecue joints in attendance, the diner's problem is a simple one: There is only so much meat a human can take down in a single setting. 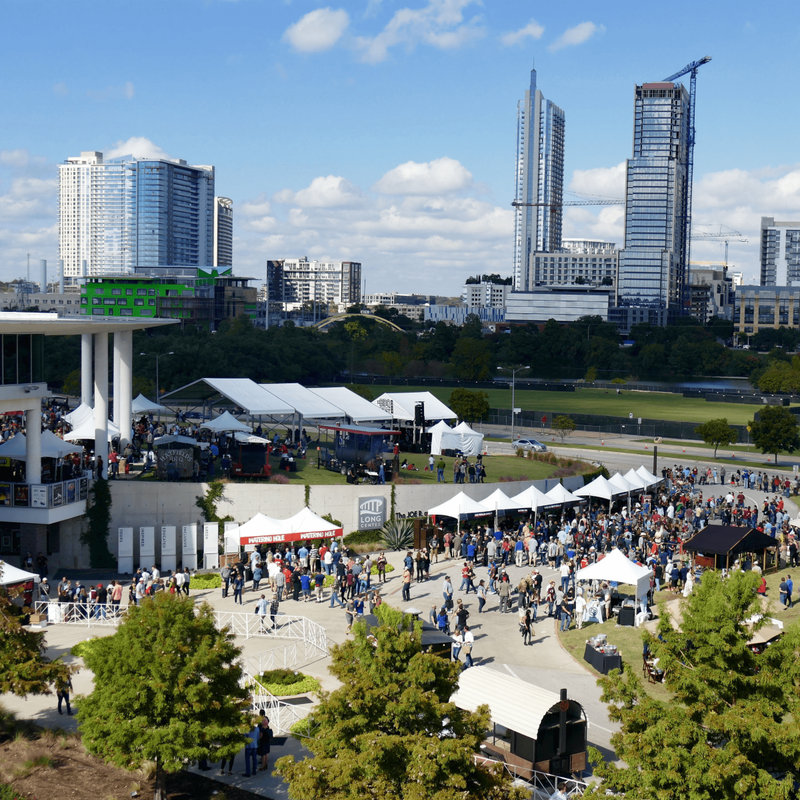 As veterans of the festival, our group has learned to share a single serving per restaurant for two guests, yet it didn't even get us close to tasting the entirety of the restaurants (and four dessert stations) on offer Sunday at the fest. While we made it to a mere 18 of the 28 stations, the food was done with the same care shown at the pitmaster's regular locations. 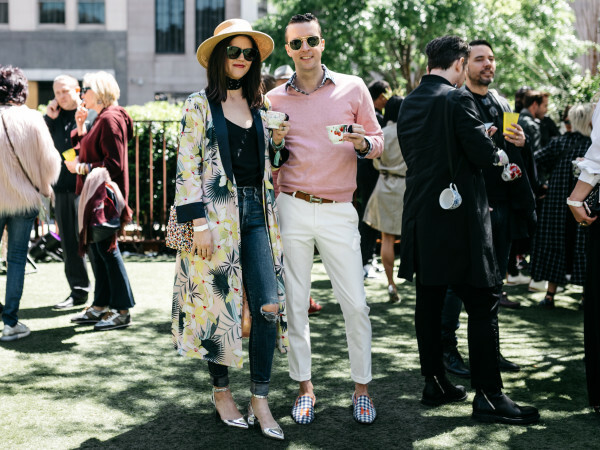 Our only regret is that we couldn't divide the indulgence between two weekends. Here are the highlights from an over-the-top day. Bone-in prime rib. We could leave it at that, but the post-oak flavor in these thin slices of meat was something we'd never experienced. 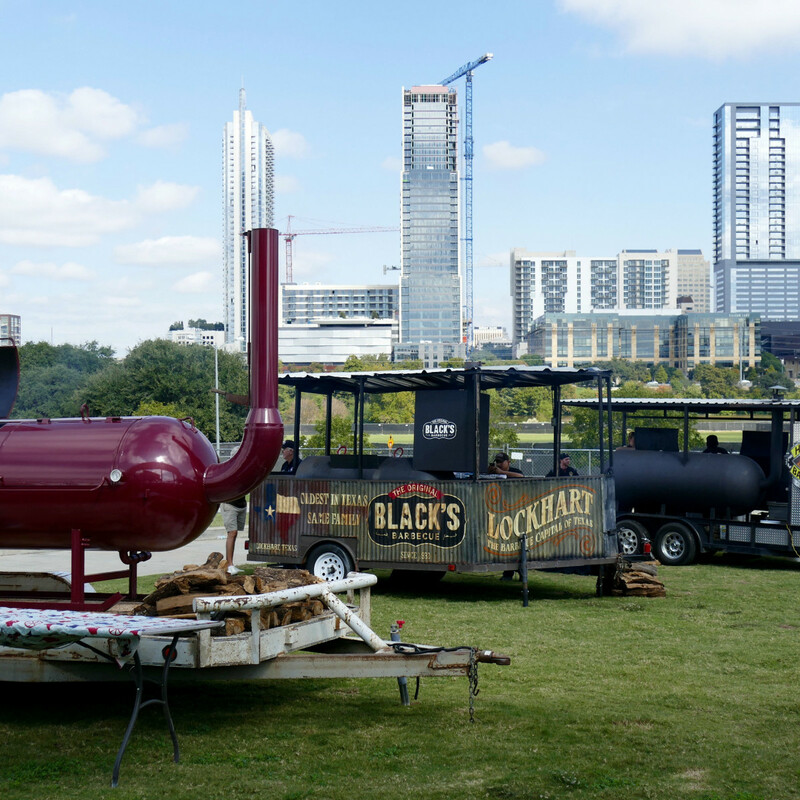 The Dallas restaurant is co-owned by Jill Bergus of the famed Lockhart-Schmidt family, so the 'cue here is done with care. This is a highlight at the restaurant. When in Dallas, make a point to try some. Sometimes simple is best. 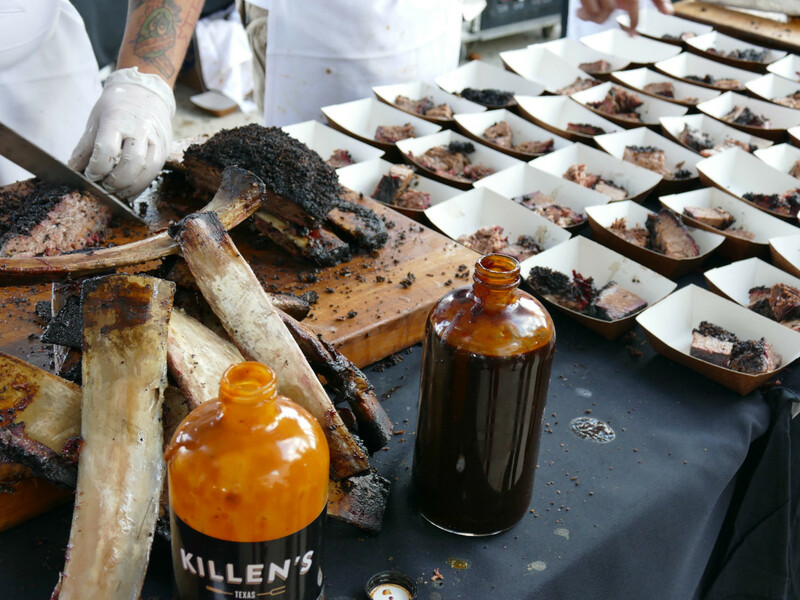 When arriving at the Pecan Lodge booth, there was one simple question: "Lean, moist, or both?" We opted, of course, for both. 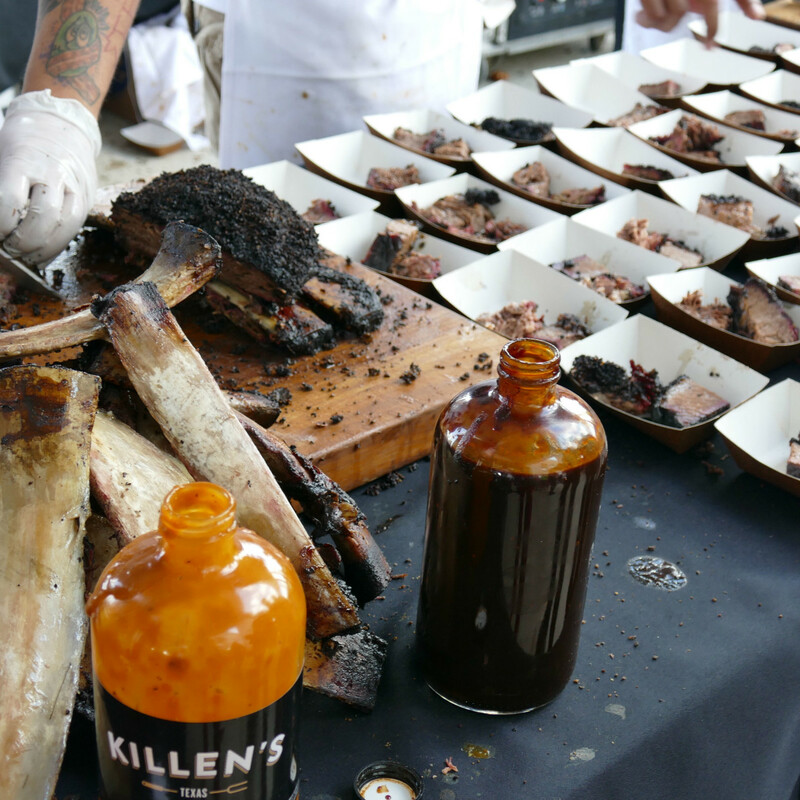 As with Killen's, Pecan's brisket had the ideal bark texture. The moist brisket meant business — this was a messy eating experience. 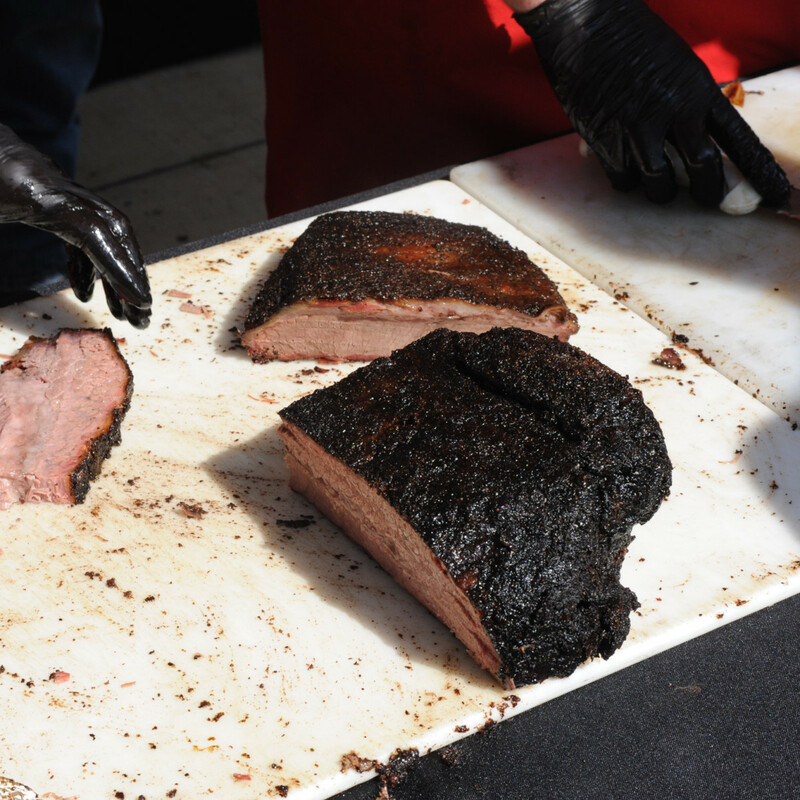 The lean brisket outshone most moist cuts, with an expertly trimmed and rendered fat cap giving each bite an extra dose of richness and flavor. 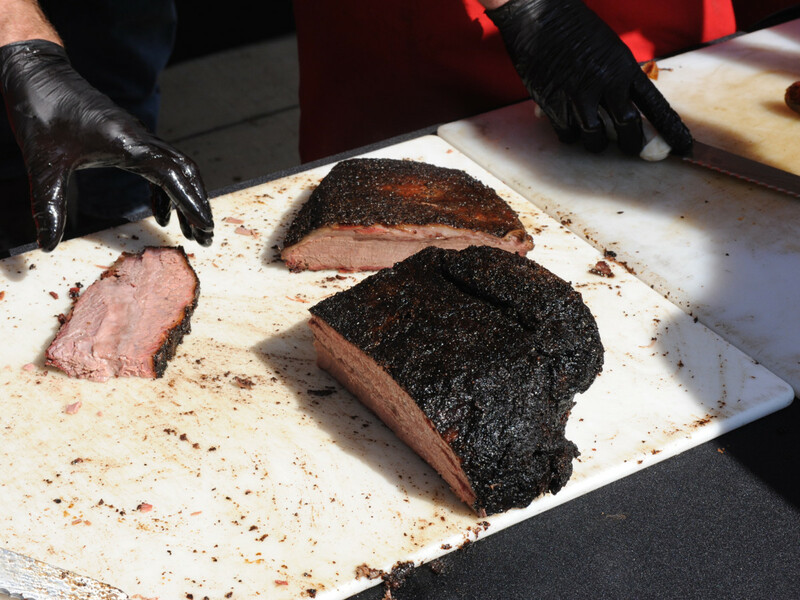 When walking by the Pecan Lodge booth later in the day, we saw the crew giving a young boy a tutorial on slicing brisket. We can only hope Pecan Lodge will train as many folks as possible to make this food. 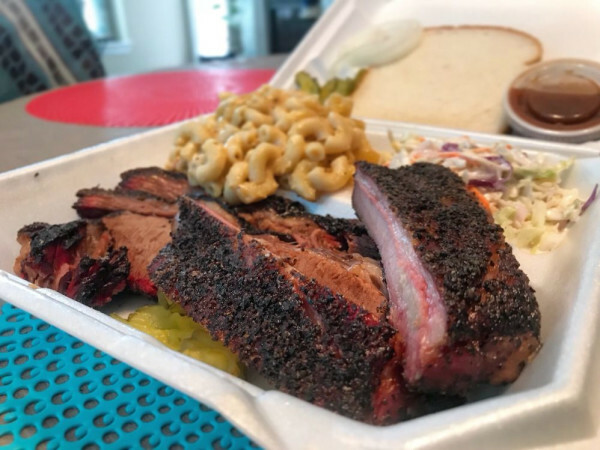 Ronnie Killen now seems to be running the Houston barbecue game. A pop-up at Foreign and Domestic earlier this year brought out big crowds, and it's not difficult to see why. If one can call a slice of brisket precise, we will. A peppery bark led to a perfectly smoked moist brisket with a melted texture, nicely rendered fat, and smoky flavor that led you back for more. There was also pork belly on offer, but we couldn't divert our attention from the brisket. If Sunday was any indication, the crew at North Austin's Stiles Switch has found a new level. Stiles' jalapeño cheddar sausage (one of three on offer) was aggressively spicy, with the gooey cheddar softening the blow. The smoked beef rib had an excellent salty, fatty grip and was our favorite rib bite of the day. A fried boudin ball sealed the deal for us: We need to stop in to Stiles again soon. The restaurant brought its full pit crew Sunday, and the ambition and hard work were evident in the results. 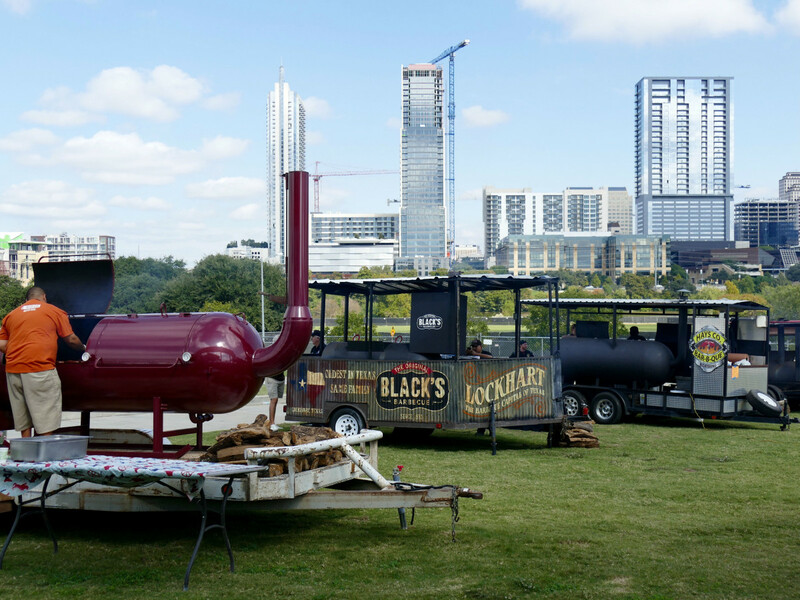 John Lewis and Esaul Ramos continue to vie with Franklin for the best barbecue offerings in Austin. On Sunday, they brought a bit of everything to the table. Our serving boat held a platter of lean brisket that somehow built flavor as you went from bite to bite, along with moist pulled pork and welcomed palate-cleansing condiments of pickled onions and a roasted green chili sauce. The classic La Barbecue sausage was there, too, and with its usual level of greatness. The pork casing had great snap, and the peppery flavor profile was singing. 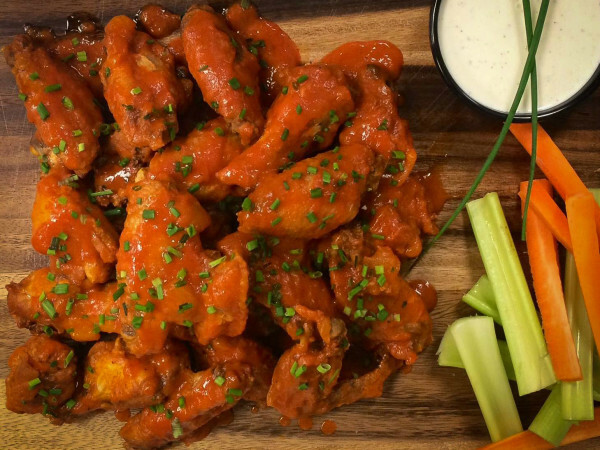 The quietly awesome West Campus restaurant's two sausage offerings showed why Evan Leroy was picked as a "featured newcomer" by Daniel Vaughn this year. Leroy's King Ranch sausage was made with chicken, beer, cheddar, and tortilla chip crumbles. He also riffed on the Elgin "hot gut" style of beef sausage to great effect: His version had great pepper spice.